IDEOLOGY. 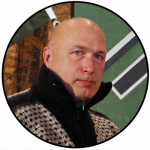 Unlike the Sweden Democrats (SD), the Nordic Resistance Movement is a revolutionary, National Socialist organization. 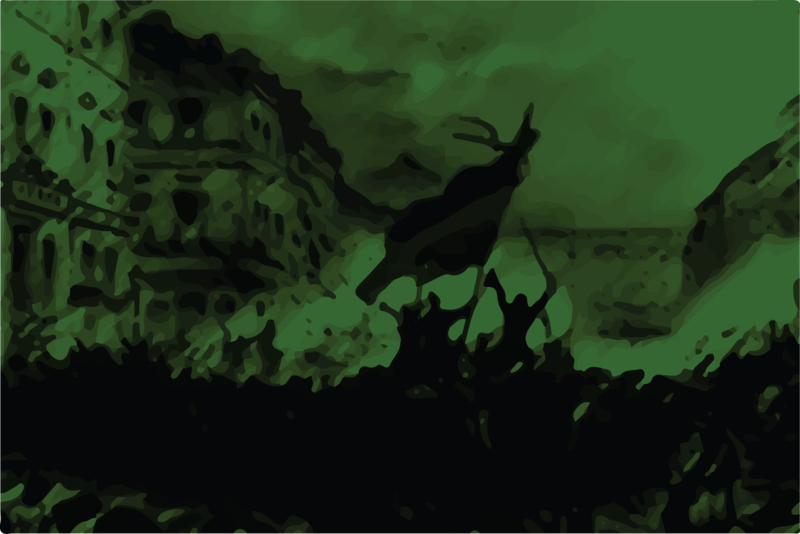 This article, written by the movement's founder and former leader, Klas Lund, highlights some of the things that set us apart from SD and other nationalist groups. At the time of writing , one year has passed since SD won representation in the Swedish parliament. This was, above all, a backlash against the mass immigration that has flooded our country for decades. At long last, a segment of our people has woken up to these issues, but only to a certain extent, and with the only tangible result being a surge in votes for what is essentially a wishy-washy, populist party. Given the current situation in Sweden, there really can be no doubt that SD will continue to grow – that is, as long as the system in which we live remains stable. This is because more and more people are bound to turn against an ever more dysfunctional, multicultural society. For these people, SD will be the obvious and easiest alternative. The party will appeal to those who want change in some shape or form, but who do not question the very foundations of the current system. The SD phenomenon is, in essence, a reaction by those who have faith in the present system but wish to reform our society, albeit only to a limited degree. They do not view mass immigration and other issues in a wider perspective – they fail to realize that the problems we see are a direct consequence of the current system – and they are ignorant of (or do not acknowledge) certain basic factors that affect society in decisive ways. Two of the most important factors in this context are Zionism and the issue of race, respectively. SD are seeking to reverse the destructive direction our society is heading in, but without changing the system itself or the foundations of society. The idea is that the current system would have been acceptable, if accompanied by more sensible policies. In their understanding, this would mean curtailing non-European immigration, emphasizing the importance of moral and ethics in society, hiring more police, imposing harsher criminal sentences, strengthening the national defense, slashing foreign aid, investing in the Swedish cultural life, etc. 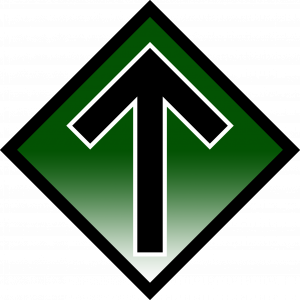 The Nordic Resistance Movement is a revolutionary, National Socialist organization – this sets us apart from SD and other nationalist parties / organizations. In essence, this means that we endeavor to create an entirely new society. We believe that the current system in itself is racially and culturally degenerate, and economically corrupt. We therefore reject this entire system and do not believe it can survive long-term. The world is currently undergoing major changes, and the capitalist economy is showing signs of increasing volatility. Even so, the economy is still strong enough for us living in Europe to live in relative abundance. However, dark clouds are forming on the horizon. There are simply too many negative factors that must be taken into account (Peak oil, environmental degradation, overpopulation, etc.) for anyone with their eyes open to feel secure. Sooner or later, the current system will be subject to major strains, at which point things will rapidly and significantly deteriorate. We believe that capitalism – and, consequently, the present system – is on the verge of collapse, and we do not wish to prolong its existence by being part of the reaction, but instead build something completely new upon the ruins of the current system; a National Socialist society in harmony with nature. We have come to realize that an outright change of system is absolutely necessary, and that there is no point trying to maintain a societal structure that is thoroughly rotten. We will of course keep the “foundation” of the structure – our land, people and the sound parts of our culture – but we believe the rest ought to be demolished and rebuilt in accordance with new ideals and objectives for the future. We are, naturally, conscious that it will be very difficult to convince people of these things under the current circumstances. People are still well off, and are not yet prepared to side with anything or anyone that is perceived as being too controversial. Most of them will continue to vote for whatever party will benefit their bank account. We are also aware that most people desiring change will initially opt for alternatives within the present system, before turning to the Nordic Resistance Movement as a last resort, having tried all other ways. During the current phase of our struggle, we must sow the seeds that will allow us to reap in due course. We must make ourselves known as an uncompromising force that is diametrically opposed to the system. We must prepare the people by spreading the National Socialist message already at this point. We must proclaim our vision of a free and unified Nordic nation, and constantly criticize the current order. Slowly but surely, we must build up a well-organized base of revolutionaries and try to expand wherever we can, so that we are in as good a position as possible when the time comes. If you are reading this and consider yourself a nationalist, you should reflect on these things. It is imperative that you choose which way you want to go. Are you in favor of the present system; do you think it will endure; do you want it to endure? If so, the Nordic Resistance Movement is not for you. The difference between us and the others is that we do not focus on the limitations of the present, but on the possibilities that the future holds. We do not fear nightfall, but recognize that it will lead to a new dawn. We do not view the prevalent attitudes of the people as something absolute, but are conscious that things can, will and must change. We will act as a consistent, revolutionary force, and we hope that you will decide to support us in whatever way you can.